Yosemite covers 1,189 square miles, 89 percent of which is a designated wilderness area and virtually untouched. 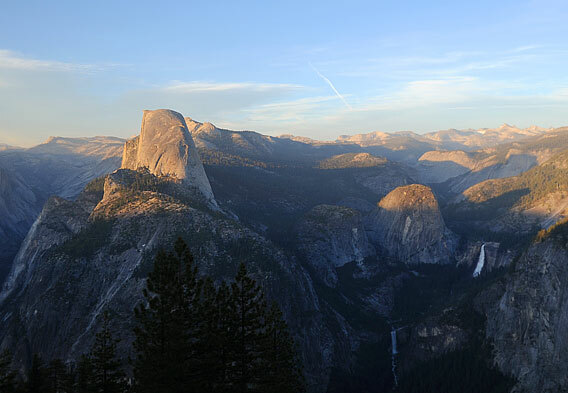 The Yosemite Grant to help conserve the part was signed by Abraham Lincoln on June 30, 1864. Yosemite National Park has 1,600 miles of streams and 800 miles of hiking trails. The smooth face of Half Dome makes it difficult to climb. The first successful ascent was in October 1875 by George Anderson, who made the ascent by drilling holes and putting iron eyebolts into the granite. The sight of Yosemite Valley opening up before your eyes, with the granite cliffs of Half Dome and El Capitan rising up into the sky and the hills covered in pines and towering sequoia trees, is a truly majestic sight. It is easy to see how Yosemite Valley has inspired artists and photographers such as Ansel Adams over the past century, as the dramatic landscape is one of the most impressive natural sights in the world. Yosemite Valley is an eight-mile long valley that was carved out by glaciers and further eroded by the Merced River, carving a canyon up to a mile deep at certain places. Although Yosemite Valley is but a small part of Yosemite National Park, it is the most accessible and the most popular place to visit in the park. The elevation of the mountains as they tower above the valley make for amazing photographs right from the Yosemite Valley floor, but there are also many trails of varying difficulty that are accessible from the valley and that take you up into the mountains. Half Dome is the most distinguishing feature of Yosemite Valley. This gigantic granite rock rises 4,737 feet above the valley floor and has the appearance of a round dome that has had one half taken away, creating a smooth face on one end of the rock facing the valley. This dome-like shape is only an illusion, however, for when viewed from other vantage points besides Yosemite Valley, the back side of the rock is almost as sheer as its front face. The route up Half Dome is a popular trail with hikers and trekkers, and cables have been fastened to the trail’s steepest section to help hikers pull themselves to the top of the rock. Despite the help, however, the trail remains a challenging one. Yosemite Valley is also a treasure trove for natural flora such as the giant sequoia trees. The largest sequoia grove in the park is located at the southern end of Yosemite Valley, at Mariposa Grove. 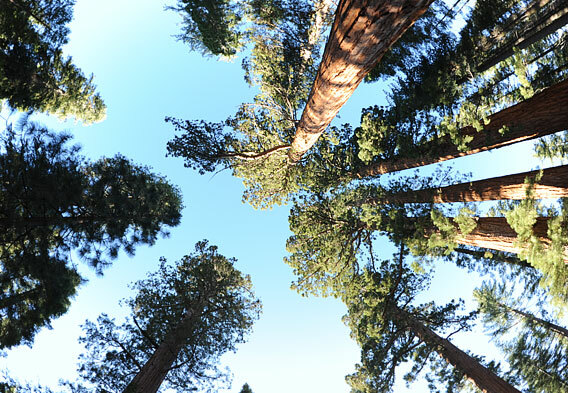 The grove has several giant sequoias, two of which are among the 25 largest sequoias in the world. Interpretive markers along the trail allow you to read about distinctive trees such as the Grizzly Giant, the oldest tree in the grove at about 2,000 years old, as well as the California Tunnel Tree, a tree that had a hole cut into it in 1895 so that carriages could pass through. In addition to rock features and majestic trees, there are many other natural attractions to be discovered in Yosemite Valley. Waterfalls flow from the mountains down the face of the cliffs, and there are longer backpacking trails that take hikers through the wilderness on multiple-day hikes. Scaling the granite face of El Capitan is a popular challenge for rock climbers, as is climbing to the summit of Glacier Point, one of the best viewpoints in the park. For those who wish to stay in Yosemite Valley there are many options for accommodation, from staying in one of the park’s lodges to camping at one of the well-maintained campsites. The most famous lodge in the park is the Ahwahnee, a beautiful structure of stone and wood that has been imitated many times by other hotels. The historic building has enormous lounges and club rooms built with stained glass, stone fireplaces, and other beautiful design elements. 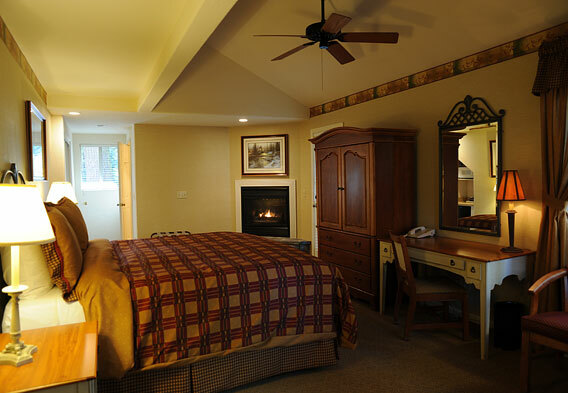 Another historic hotel is the Wawona Hotel, which is decorated with Victorian décor and has a European-inspired design. Yosemite Lodge is a good mid-range option for families, and if you are staying on a budget but don’t want to bring your own tent, consider the Housekeeping Camp, which provides sleeping structures and bunks for a reasonable price.